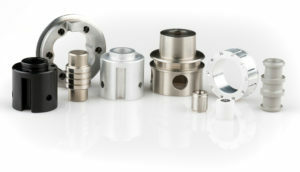 AccuRounds has been dedicated to the precision machining of custom cylindrical components since 1976. 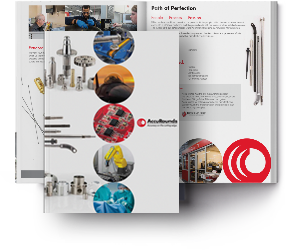 At AccuRounds, precision is a way of life. We strive for excellence with each component we produce. You can depend on AccuRounds to manufacture your product to exact specifications, delivered on-time. Our quality is second to none. Lean systems are utilized throughout our organization to provide the most cost-competitive manufacturing solution. If you need inventory management, we can customize a program based on your production requirements. We will deliver when needed, eliminating the risk of downtime. Programs can be based on Kanban, JIT, pull systems or dock-to-stock. 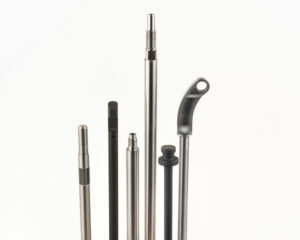 History – AccuRounds supplies quality precision turned components for leading OEMs worldwide. Learn more about our history here. Leadership – Meet the people that comprise the Executive Team at AccuRounds. Core Values – Our company Core Values are the essence of what we do and how we serve our customers. Operational Excellence – Through lean manufacturing and continuous improvement, AccuRounds can help get your product to market faster. Corporate Social Responsibility – We conduct business ethically and responsibly with sensitivity towards social, cultural, economic, and environmental issues. Awards – AccuRounds has received numerous awards for its contributions and achievements.